Welcome to the latest bumper edition of Forestry Commission England’s Tree Health News – a publication created to share updates, news and information relating to tree health from the sector, for the sector. The Arb Association have just published their biosecurity statement, which sets out to acknowledge the key role all tree professionals play in the mitigating the threats posed by tree pests and diseases. The statement is aimed at everyone working in the arb and wider forestry sectors, and outlines some basic biosecurity principles that can be adopted to reduce the unwanted introduction and spread of tree pests, diseases and invasive tree species. The statement reinforces the Keep it Clean guidance published by Forestry Commission England earlier this year, and has been developed by a team of Arb Association members from different sectors with input and support from across the industry. You can view the Arb Association biosecurity statement, and show your support of the Forestry Commission’s Keep it Clean campaign by downloading our branding and guidance to share via your own platforms. If you’re coming to the APF forestry exhibition on 15, 16 or 17 September, be sure to stop by the Forestry Commission stand and say hello. As well as all the latest news, information and resources on tree health, we will have ideas and suggestions about woodland management, resilience and tree species diversification, as well as advice on grants and regulations. You will also be able to find out about the latest forest research, and meet Forestry Commission timber specialists. For more information visit the APF website. And remember to ‘Think Kit, Think Transport, Think Trees’: Arrive clean to APF 2016, and don’t give pests and diseases an easy ride onsite. We have published guidance for anyone planning to import Christmas trees this year to help them ensure they do not accidentally bring in any pests or pathogens with them. And if you, or your friends or family, are travelling abroad this summer, remember it pays to #KnowBeforeYouGo. Make yourself familiar with restrictions and guidance on bringing trees and plant products back to the UK from overseas before you leave. Several new and updated pest alerts and factsheets are available from the Defra website. Meanwhile we have published a web page and contingency plan for Siberian silk moth (Dendrolimus sibiricus). Caterpillars of this species have caused significant damage to conifer forests in central and eastern parts of the Eurasian land mass, and it is spreading westwards. Although this pest is not present in the UK, we encourage readers to familiarise themselves with its symptoms and identification, and to keep alert for any sign that it might have been accidentally introduced. As always, report suspected sightings with Tree Alert. 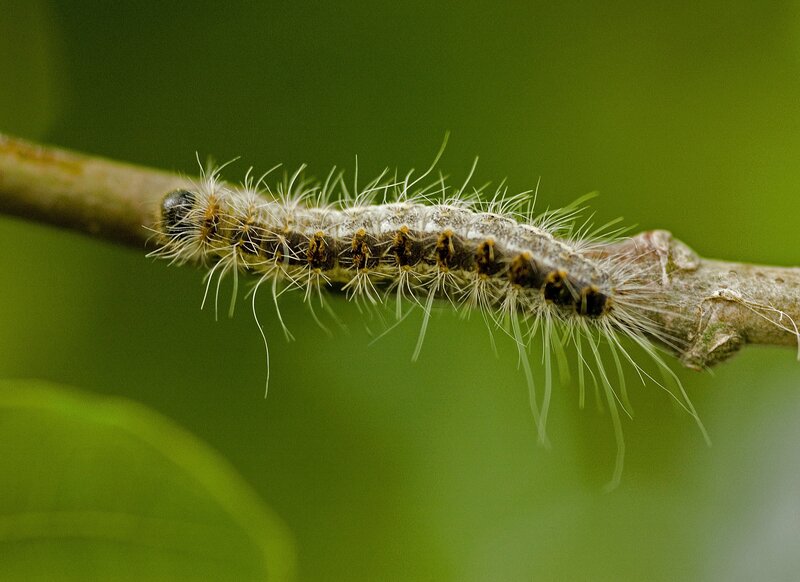 The Emphasis project, dealing with integrated pest management, has launched a survey to find out how farmers, growers and foresters deal with plant health threats. Emphasis is a Horizon 2020-funded project which aims to provide integrated response measures to predict, prevent and protect agricultural and forestry sectors and natural ecosystems from native and alien pest threats. Your experience can help, so please take a few minutes to complete the survey, which closes on 31 August. OCGW has been found on sweet chestnut trees in a number of locations in and around London during surveys following up the 2015 discoveries in Kent and Hertfordshire. OCGW is a low-impact pest in the UK. It poses no threat to people or animals, nor does it affect horse chestnut trees (Aesculus species). England’s chestnut production industry is small, with the great majority of the chestnuts consumed in Britain imported, so supply will be unaffected. It can, however, weaken sweet chestnut trees and increase their vulnerability to other threats. “We cannot eliminate all risks, but we will work closely with partners and landowners in affected areas to minimise the population, spread and impact. “For long-term control Defra are monitoring biological control trials in other countries, and researching whether these could be used in the UK. “We are investigating the experience of affected areas in Europe to improve our knowledge of the likely effects on timber growth and form. We will share the findings as they become available. “Meanwhile, we encourage sweet chestnut owners to keep an eye on their trees and report any suspected sightings to us with Tree Alert. “Protecting Britain from plant pests is important for our economy, environment and health, and we and our partners in government are committed to protecting our borders and building tree and plant resilience. We also encourage anyone visiting or working on woodland sites to practise good biosecurity by not removing twigs, leaves and branches, to avoid accidentally spreading the insect. This includes cleaning clothes, footwear, tools and machinery before moving to other sites. More-detailed biosecurity guidance is available from the Forestry Commission website. Please continue to report sightings using Tree Alert. Landowners and tree professionals are ideally placed to provide extra eyes on the ground to detect and report tree health concerns. So Observatree is calling on them this summer to play their part in helping to protect our trees, woods and forests from pests and diseases. With this in mind, there is a new suite of resources aimed at tree professionals with easy-to-use downloadable symptom and identification guides for some of the most commonly found pests and diseases. There is also a handy downloadable pest and disease calendar. Funded by the EU’s LIFE programme, Observatree is a partnership project led by the Forestry Commission’s Forest Research agency. Partners are Fera Science Ltd, the Forestry Commission, the National Trust and the Woodland Trust. Supporting it are the Animal & Plant Health Agency (APHA), the Department for Environment, Food & Rural Affairs (Defra) and Natural Resources Wales. 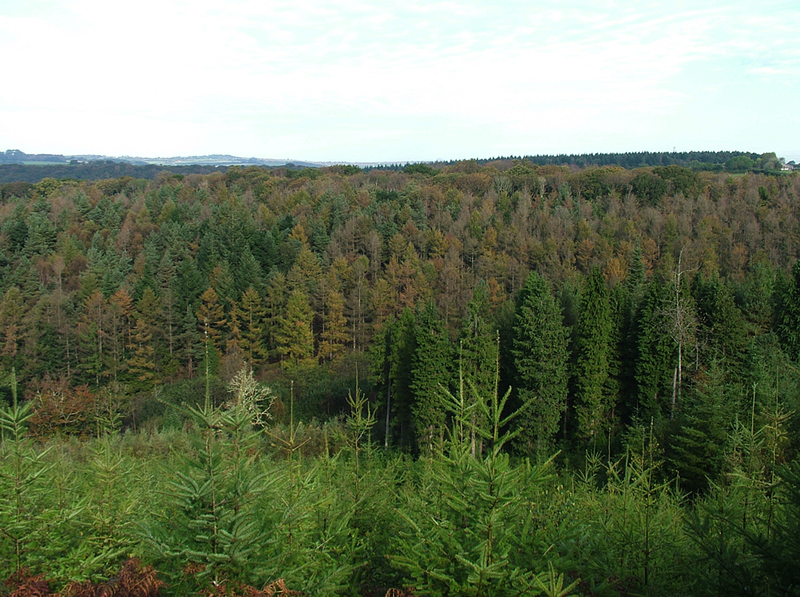 Observations from our aerial surveys have generally been consistent over the survey season, comprising mostly limited, low-level P. ramorum symptoms resulting in relatively small areas of larch to be felled under statutory plant health notices. Sites identified so far this year have been in the general vicinity of previously confirmed larch, rhododendron or sweet chestnut infection. In isolated cases symptoms in larch seem to have advanced more rapidly, and ground inspections in these areas have identified collateral infection in other species, including Douglas fir and western hemlock regeneration. Our ground surveillance teams continue to investigate the crown deterioration, die-back and death of sweet chestnut in South-West England to confirm whether the damage is attributable to P. ramorum infection or other causes. We have identified sites suitable for Forest Research to undertake scientific investigation to help understand the disease and its impact on sweet chestnut. With this understanding we can provide the best possible advice for growers and owners, and we are monitoring infected sites to continue the development of appropriate control measures. The summer survey for, and destruction of, OPM nests in and around London and West Berkshire will be completed this week, but please continue to let us know of any nest sightings via Tree Alert. The survey has gone well, with several good-quality reports of sightings received from the public and organisations as a result of increased awareness of the pest. Only one new local authority area - Watford in Hertfordshire - has been found to be affected to date, and we moved quickly to remove and destroy the small number of nests found. We are now surveying oak trees within a 2km radius. And for the fourth year running, no nests have been found to date in the Pangbourne outbreak area in West Berkshire, so we will be watching the results of pheromone trapping with interest. Small numbers of moths were trapped in each of the past three years, indicating that a residual population of OPM remained in the area. Our operational focus is now turning to monitoring the 1500 pheromone traps which we’ve erected around the known affected areas, and a small number of adult male moths had been captured as Tree Health News was ‘going to press’. Pheromone trapping helps us to monitor changes in the pest’s distribution, and we will monitor the traps until late August or early September. Meanwhile we have added a chapter on occupational health advice to our on-line OPM Manual, which contains guidance for people whose work brings them into close contact with OPM, or could do so. Working abroad? Come back clean! British arborists who occasionally work in continental Europe are being asked to ‘keep it clean’ so that they don’t give a lethal plane tree disease an easy ride into the UK. London Plane (Platanus x acerifolia) is an iconic tree species found in towns throughout the UK. However, it is under threat in continental Europe from the Ceratocystis platani fungus, which causes the disease canker stain of plane, also known as plane tree wilt. The disease has killed large numbers of plane trees across Italy, France and Switzerland, including tens of thousands lining the banks of France’s famous Canal du Midi. James Roberts, Forestry Commission biosecurity officer, recently attended a tree health seminar in Italy, where he learned that the primary means of spreading it is through mechanical transmission. Pruning equipment, such as handsaws and chainsaws, and climbing ropes used on infected trees, can transfer spores directly into a pruning wound on an uninfected tree. “It’s vitally important that arborists working abroad remove all organic material and disinfect all pruning and climbing equipment before returning. 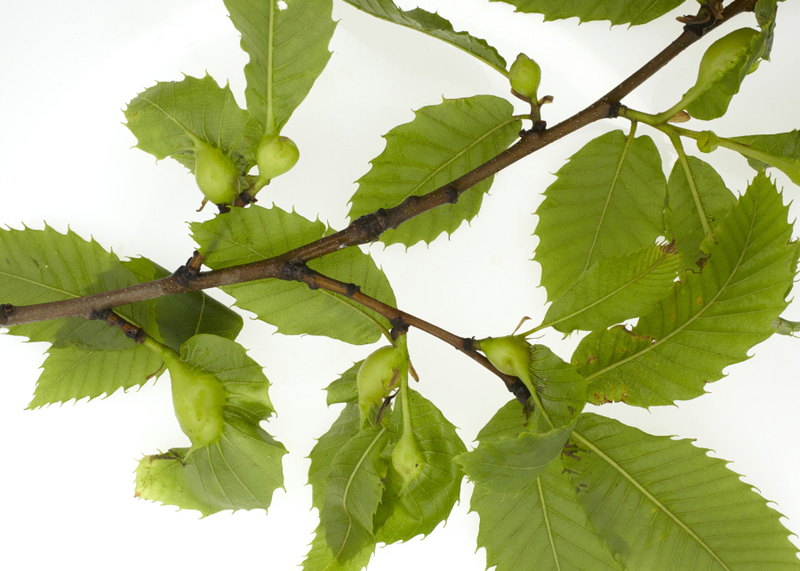 By taking care of our kit, we can help to protect UK trees from disease. There is advice on our web page on the appropriate cleaning and disinfecting methods. How will the risk of future tree diseases affect the decision making of woodland owners and managers? In recent years, pests and diseases from around the world have severely affected several tree species in Britain, and others are likely to arrive in coming years. Many woodland owners and managers have started to think about how to move beyond just responding to each disease after arrival and instead plan for longer-term resilience of woodlands to a range of possible threats. Such choices are the focus of the research project FOREMOD being carried out by a consortium of universities and Forest Research, funded by the UK government. The focus of the project is to improve understanding of the decisions which woodland owners and managers make in the light of their knowledge of tree disease risks, and their particular objectives in management. The information generated by this research will help woodland owners understand the economic consequences of different management options. It will also inform policy makers about how different incentives would best encourage woodland owners to make the decisions that most reduce future tree disease risks. To take part in this survey, please click here. Please also get in touch if you would like to participate in the project in other ways, for instance by advising on what woodland management alternatives we should compare in our economic modelling. Contact Oleg Sheremet for more information about the choice experiment or Morag Macpherson about any other aspect of the project. the Forestry Commission’s dedicated web pages.